I am a Remedial Massage Therapist and now Theta Healer. 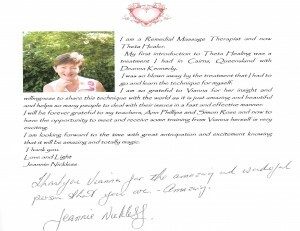 My first introduction to Theta Healing was a treatment I had in Cairns Queensland with Deanna Kennedy. I was so blown away by the treatment that I had to go and learn the technique for myself. 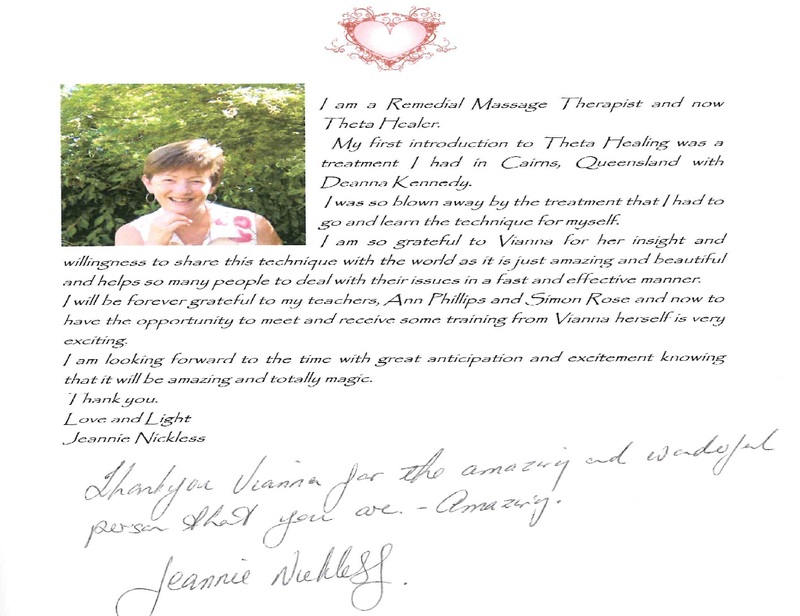 I am so grateful to Vianna for her insight and willingness to share this technique with the world as it is just amazing and beautiful and helps so many people to deal with their issues in a fast and effective manner. I will be forever grateful to my teachers, Ann Phillips and Simon Rose and now to have the opportunity to meet and receive some training from Vianna herself is very exciting. I am looking forward to the time with great anticipation and excitement knowing that it will be amazing and totally magic.